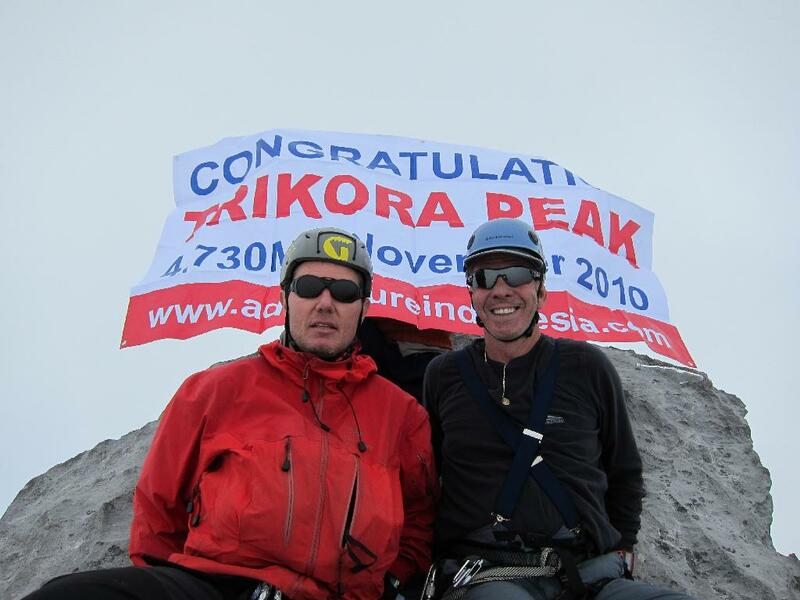 I arrived in Jakarta in Indonesia to climb Mount Trikora in Papua - the 2. highest mountain on the Australian continent - together with Andries, one of my climbing friends. There were volcanic eruptions from Merapi on Java during our stay in Indonesia. I arrived Friday and both Saturday and Sunday all international flights to and from Jakarta had been cancelled, so we were quite lucky to get in just the day before. our guides had never been up there and they did not know of anyone who made it ! Most people get to just 50-75 meters below the summit. It was a real rock climb and at times quite dangerous and difficult. At some places the ridge was paperthin, and it was the most dangerous rock climb we had ever tried. And I had to overcome my fear to get all the way up.